Brooklyn-born Lisa has been our resident hygienist from 2016! Although she is the newest staff member to join Dr. Romano’s team, she already considers her colleagues “like a family” (and the feeling is mutual!). She brings her extensive experience of the field and outgoing personality to her job, which, working in balance with Dr. Romano, is vital to maintaining patients’ oral health: she assists with their periodontal maintenance, scaling, root planning, and prophylaxis. An essential component of Lisa’s job comes down to communication, and in particular, fostering a dialogue with patients about their dental and medical health to determine any issues. In fact, one of her favorite aspects of her work is meeting and interacting with patients, in order to help them. According to Lisa, “I love what I do and that’s why I’ve done it for so long.” The field has changed since her student days at New York City College of Technology. The possibility of learning different methods and new technology, including ©Invisalign and ©Perio Protect, is what drew Lisa to Dr. Romano’s office. Outside of work, this mother of a family of five leads an active lifestyle, made up of sports, including tennis and yoga, for its calming effects, games such as Mah Jongg, and needlework and other crafts. Born and raised in Brooklyn, Syreeta joined the office of Dr. Richard A. Romano in 2004. Her work is essential to the smooth and expert running of the office! When the patient sits in the dental chair, he or she can rest assured that Syreeta has ordered the supplies, sterilized all instruments and equipment, and set up for the procedure at hand. 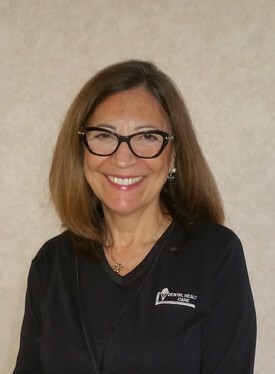 While she is not assisting Dr. Romano with treatment and taking X-rays, you will most probably find her in the office lab, pouring impressions, charting, or working on a number of other skilled tasks that were informed by her specialist Mandl College education. 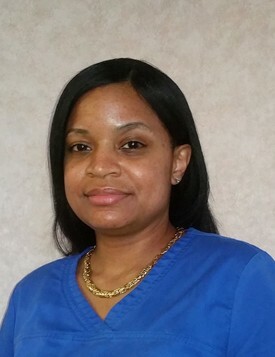 Her attitude mirrors that of Dr. Romano, who is, according to Syreeta, “a perfectionist who always provides excellent quality dentistry for every patient.” She acknowledges, however, that his successful office is due to the communal effort of the “amazing” team: “We always put the patients’ comfort and needs first and we work well together.” And the result, “to see patients happy with their beautiful smiles,” is equally rewarding for Syreeta. Outside of the office she is an avid reader, exercise buff and music fan. Sicilian-born Teresa officially started working for Dr. Richard A. Romano in 2000, but has been an important behind-the-scenes fixture for a long time – since their 1979 wedding! But her job revolves around the patient: she processes and coordinates their financial information and treatment plans. In addition to handling all emails and written correspondence, she is always there to personally, patiently and informatively explain everything… and her fluent Italian comes in handy for this! 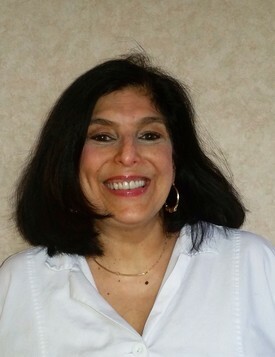 Teresa finds great satisfaction in answering patients’ questions and concerns, and bringing about their understanding and appreciation of dental procedures, so that they feel comfortable, confident and included in their own treatment. And you can ask her anything! Her preparedness is due to regular practice management classes on dental implants ©Invisalign and ©Perio Protect and affiliation to the Association of Dental Implants Associates and American Association of Dental Office Management (AADOM). In addition, she brings a distinct creative dimension to the office, with her degrees in English literature and Interior Design and passions for opera and architectural history – this creativity is probably behind another of her favorite aspects of the job, embarking on new and innovative projects and programs that distinguish the office of Dr. Romano from all the rest. The first person every patient sees as he or she enters the office is Joann, and it’s been this way since 1988, when she joined the office of Dr. Richard A. Romano, or, as she puts it, “28 amazing years.” Her presence has helped make the office the friendly and intimate place that it is, and she confesses that, “working with patients has been the most rewarding aspect of my job. As soon as they walk through the front door I’ll do everything I can to make them feel as comfortable as possible.” If you call the office to book an appointment, you will most likely hear Joann’s familiar voice at the other end too, ready to pencil you in! 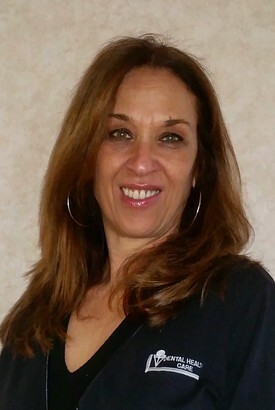 She is also the insurance guru of the office, thanks in part to her attendance at the prominent Greater NY Dental Meeting and her certification from the National Provider Compliance Corporation. Despite this training, she admits that she does something new everyday, one of her favorite aspects of the job. Brooklyn-born Joann is also a proud granny, with three beautiful grandchildren and one more one the way!